It’s quality in both cutting edge aesthetics and superior performance is unsurpassed and will add value, style, ambience and that wow factor to any home. 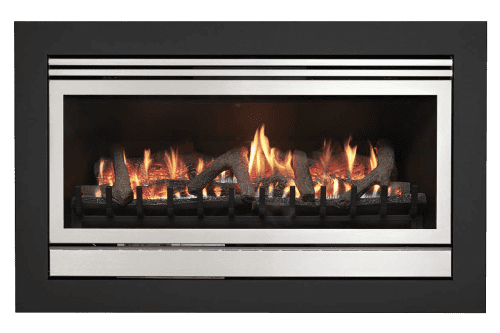 The Illusion Realistic Gas fireplace attains a level of realism others can only aspire to. 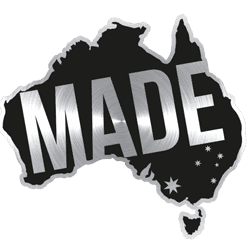 It contains logs molded directly from Australian hardwood and each log is hand painted by elite craftsmen, right here is Australia. When you combine the Realistic gas log fire’s modern and sleek appearance, quality craftsmanship and huge heating capacity, it makes it the best gas log fire in the market to elevate the prestige and appearance of your home. It will be a talking point and a timeless centerpiece that you and you family will enjoy for decades. Available in a number of colour combinations and with ultra realistic logs or pebbles. The Realistic gas fireplace can be installed into an existing wall (internal or external) and is also suitable for an existing large chimney or purpose built enclosure.